Edmund Burke (c.1729-1797), orator, philosophical and political writer, British statesman, and opponent of the revolution in France, is among the most famous of eighteenth century Irishmen. Two centuries after his death, however, his legacy is still contested, both in Ireland and abroad. 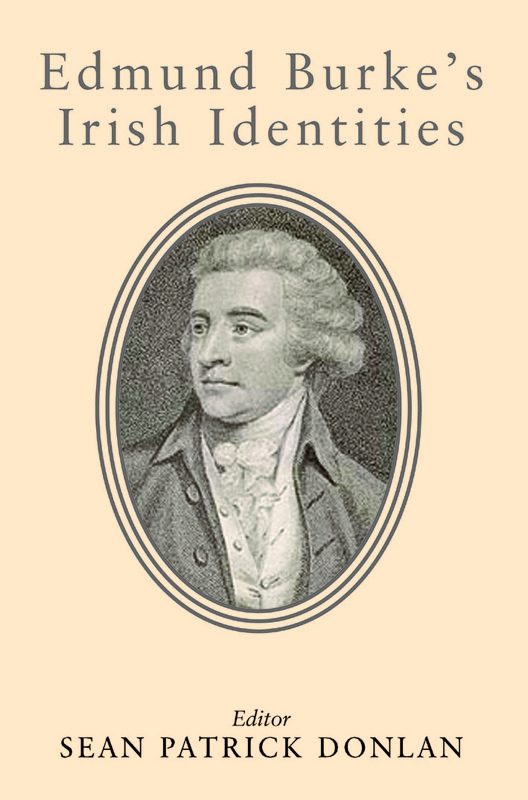 This is the first collection of essays to focus exclusively on Burke’s complex relationship to his native Ireland. The book brings together thirteen authors, both established experts and young scholars, from a wide variety of viewpoints and disciplines. The contributors discuss Burke’s early years in the Blackwater Valley and in Ballitore, his experiences at the University of Dublin and as a Dublin journalist, his relationship to Irish history and aesthetics, his friendship with fellow Irishman Oliver Goldsmith, his numerous Irish links after he began his parliamentary career, his views on Irish politics and the Irish constitution, his thoughts on Ireland and India, the idea of union and political economy, religion and the Irish reception to his anti-revolutionary writings. Séan Patrick Donlan lectures in law at the University of Limerick. He had edited a reprint of Francis Stoughtan Sullivan, Lectures on the Constitution and Laws of England (2nd end, 1776) and has published numerous articles on law, history and on Burke. He is currently researching the study of law in the late eighteenth century.